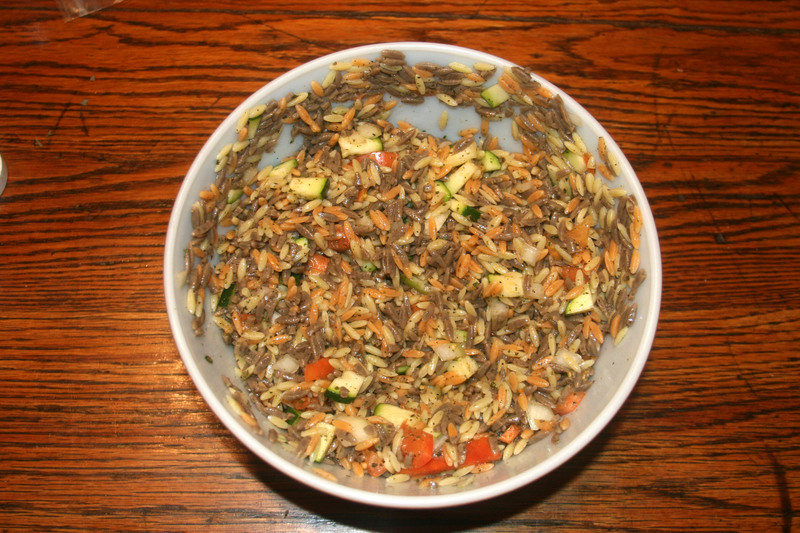 Cook Orzo according to package directions, rinse and cool. Place in medium bowl, add chopped vegetables, olive oil and seasonings. Let sit for at least 30 minutes before serving.